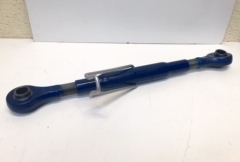 Original Leyland top link, New In Stock! Made to original drawing and specification, top links CAT 2 at both ends. £132.00. Made up of: ATJ6707 CENTRE TUBE, ATJ6735 OPERATING LEVER, CTJ3201 RHT CAT 2 END (Machine end), ATJ6709 LHT CAT 2 END (Tractor end). Pins and chains can be supplied separately. 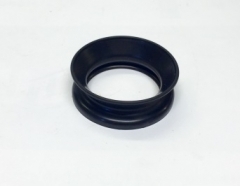 Fitted to all Leyland middleweight and heavyweight models and all Marshall models. 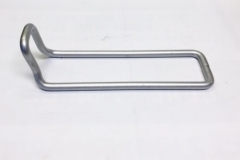 Adjusting lever top link, New In Stock, made to original drawing. 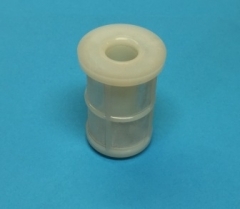 £7.55 Fitted to: Nuffield 3/45 and 4/65 models, Leyland middleweight 253, 245, 344, 384, 255, 270, 262, 272, 462, 472, 282 & 482 models and Harvest Gold models 502 to 804, Leyland heavyweight 285, 2100, 485 and 4100 models also, Marshall models excluding the 100 , 115, 125 and 145 models. Gear knob, range change lever. 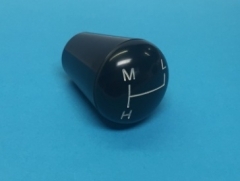 L M H (Low, Medium, High) £10.80 Fitted to all synchro 2WD models: Leyland middleweight - 245, 262, 272, 282 and Harvest Gold 502 - 802 models. Leyland heavyweight 285 - 2100 synchro models Marshall 502 - 902 and 752, 852 and 952 models. 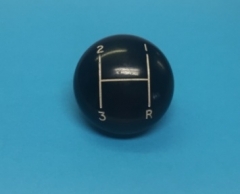 Main gear knob 1 2 3 R. Synchro reverse. £9.63. Fitted to: Leyland middleweight 245, 262 to 482 and Harvest gold 502 - 804 models. Leyland heavyweight 285 - 2100 synchro models. All Marshall synchro models. 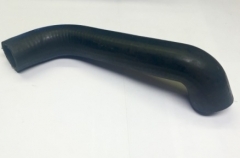 Leyland heavyweight radiator top hose. 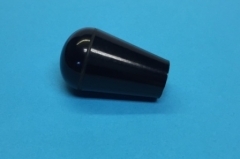 £10.10 Fitted to: 285, 2100, 485 & 4100 models. 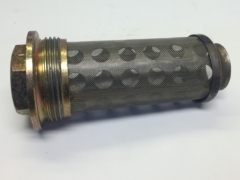 LEYLAND HYDRAULIC TANK FILTER £9.72 Fitted to BMC Mini, Nuffield 4/25, Leyland 154 and Leyland & Marshall 302 models. Drawbar 'Quadrant' frame £48.50. Fitted to: Nuffield 10/42, 10/60, 3/45 and 4/65 models. Leyland 253, 245, 344, 384, 255 and 270 models. Leyland non cab models (mainly export) 262, 272, 462, 472, 282, 482, 502, 602, 604, 702, 704, 802 and 804. Marshall 602 - 804 export only. 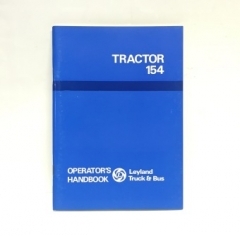 Genuine original operators handbook for Leyland 154 and can be for Nuffield 4/25 models. £12.95 NO VAT This handbook covers - All servicing, general data, safety precautions, controls and switches, instruments and warning lights, driving instructions, implement operation, wheels and tyres and track settings. 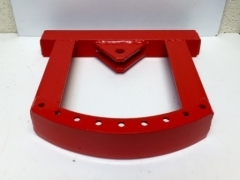 Pick-up hitch assembly £160.00. Fitted to BMC Mini, Nuffield 4/25, Leyland 154 & 302 and Marshall 302 tractors. 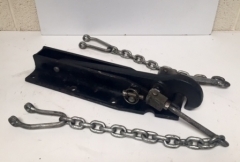 Pick-up hitch comes complete with: BTJ6556: PICK-UP HOOK, BTJ6557: PIN CLEVIS FRONT, BTJ6558: PIN CLEVIS REAR, 2x BTJ6559: FORK END, 2x BTJ6562: FORK END, 2x BTJ6564: LIFT CHAIN, 2x BTJ6565: SHACKLE, 2x BTJ6566: PIN TOP. 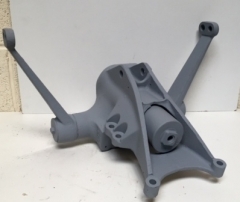 All of these parts can be supplied separately. 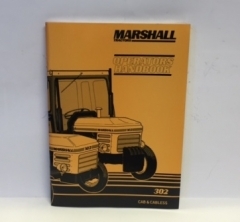 Genuine original operators handbook for Leyland and Marshall 302 cabbed and cabless tractors. £12.95 NO VAT This handbook covers - All servicing, general data, safety precautions, controls and switches, instruments and warning lights, driving instructions, implement operation, wheels and tyres and track settings. BTJ6160 Hydraulic lift £467.00 complete assembly comes complete with:- 1 BTJ6102 CROSSHAFT, 2 BTJ6103 BUSH, 2 BTJ6104 BUSH, 1 BTJ6157 CROSSHAFT LEVER, 1 BTJ6143 LIFT ARM R.H., BTJ6144 LIFT ARM L.H., 2 BTJ6134 SEAL-CROSSHAFT, 1 BTJ6118 SHAFT, 1 BTJ6116 PAWL LOCK, 1 BTJ6158 ROD, BTJ6142 CYLINDER, 1 BTJ6153 PISTON ASSY, 1 BTJ6121 CONTROL LATCH ASSEMBLY, 1 BTJ6123 SHAFT. All of the parts above can also be supplied separately. BMC Mini. Nuffield 4/25. Leyland 154. Leyland 302.